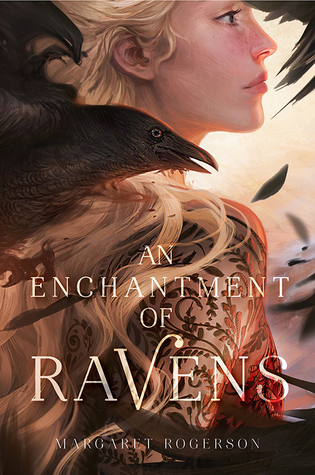 Margaret Rogerson is the New York Times bestselling author of An Enchantment of Ravens. An Ohio native, she currently lives near Cincinnati. She has a bachelor's degree in anthropology, and when not busy reading or writing, she enjoys watching more documentaries than most people consider socially acceptable. Noteworthy experiences while reading this book: When I started this one I really thought I was going to DNF it. I am so glad that I held out and gave it the time it needed to be an amazing adventure. Notes and Opinions: This one started out fairly weird and confusing. It starts out with our main character Isobel painting a picture of a Fey or Fair Folk as they are called in this book. I thought at around 20 pages or so that I was going to get to my normal 50 and call it quits but man that didn't happen at all. One second I was at around page 25 and the next I was well into page 130. This was one of those fast reads that I just couldn't put down and the journal although short will stick with me for time time. I think folks that this is going to be one of those books that you WILL be able to ask me about a few weeks from now and I WILL be able to tell you about. I know shocker right!? So the world that this is set in was breathtaking. I loved the town of Whimsy (really hope I am spelling that right) where it is always Summer. Then you have the World Beyond that we really don't get to learn to much about other than in the World Beyond enchantments mean everything. I really wished this book was a series or at least had a companion novel to it as it would have been amazing to see what happens after the ending of this book as well as learning more about this World Beyond. The story itself was very well paced and although as I stated above it was slightly confusing to start that confusion slowly left once I really got into the story. I was no longer confused about what was going on or what things met. I just needed to give the story time to unfold which I am very glad that I did. The start, middle, and ending were pretty perfect looking back I wouldn't have changed a thing. You go into this being confused to only figure out what is happening and being sucked into the story full on. I do wish however that the epolouge would have went further than a few weeks though. I love that this is a stand along although I think it would make a fantastic series! This one also doesnt shy away from gore and things that are well kind of on the nasty side. It made it pretty vivid in its telling which made it all that more amazing. The characters blew me away! I loved how this didn't shy away from showing us the ugly truth of what it was to be Fey. We know full on during this book that they use glamor and what that all intails. I also loved that this one has a great message about beauty being skin deep that just becuase someone might look different doesn't mean that they can't love and be loved. The characters in this one were fabulous although no one really had growth like you get in most young adult there was a blossoming I guess you could say. But everyone is pretty set in who they are. Even with Isobel being only 17. To wrap this review up I would say this one would be for fans of the Fey and the start of this one reminded me of The Hunted as well as A Court of Thorns and Roses with the deviousness of the Fey from another book called Need by Carrie Jones. So if you love the Fey and you want a story that doesn't shy away from anything you should totally check this one out!! Go Into This One Knowing: For fans of Sarah J. Maas A Court of Thorns and Roses as well as other lovers of Fay stories! !